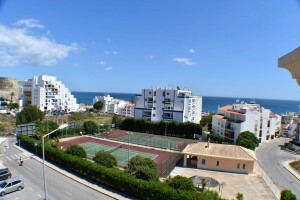 Spacious apartment with excellent location and lovely sea views. 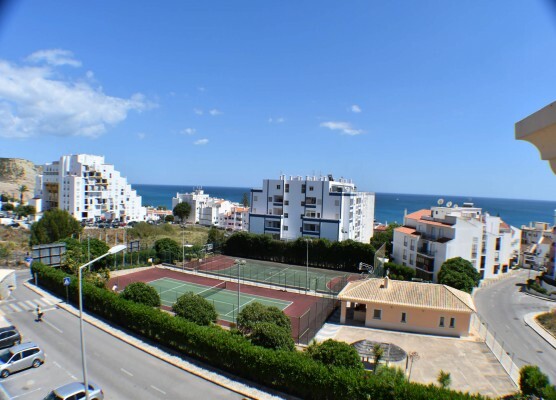 This top floor apartment is located in the closed condominium Estrela da Luz, just 5 minutes walk to the gorgeous sandy beach of Praia da Luz. The complex itself is set in beautiful gardens and has indoor & outdoor swimming pools, bar and restaurant on site as well as the shops and other great amenities within walking distance. The property offers hall, living / dining room with access to the balcony with sea views, fully fitted kitchen, 2 bathrooms, mezzanine with possibility to have additional 2 bedrooms or one bedroom and an office. The apartment has a private parking space and storage room in basement. This property would make a great home or maximise rental income.